"It's like replacing Bo Derek with Roseanne Barr." That was Johnny Miller's reaction after finding out Cypress Point would be replaced by Poppy Hills as part of the Pebble Beach National Pro-Am rotation in 1991 (Poppy Hills has since been replaced by Monterey Peninsula Country Club Shore course). Derek, known as a perfect 10, was the ideal comparison at the time for Cypress Point, long considered the world’s most beautiful golf course. 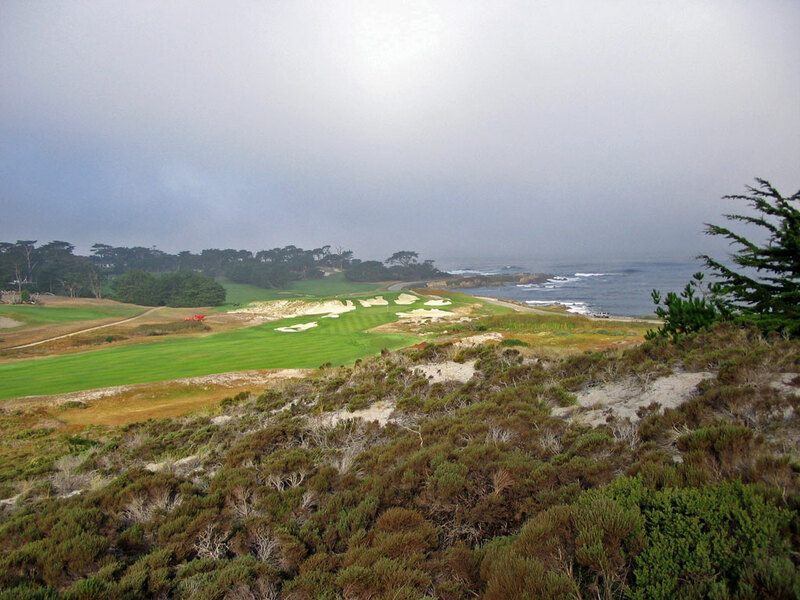 When playing at Cypress Point, it is like turning back the clock to 1928 when Merion Hollins developed the property and Dr. Alister MacKenzie designed the course. Changing your shoes in the parking lot, talking on your cell phone, or playing in shorts is strictly off limits. Players walk the course and caddies carry your golf bag. Want to know a yardage? You won't find it on a sprinkler head, or signified by a pole/monument, and you won't find any tee markers. Yardages are given from the caddies based on their knowledge of the course; laser range finders are off limits. It is golf in its purest form. Variety is the spice of life and certainly the spice of golf, and no one understood that more than Dr. MacKenzie, "I do not expect anyone will ever have the opportunity of constructing another course like Cypress Point, as I do not suppose anywhere in the world is there such a glorious combination of rocky coast, sand dunes, pine woods and cypress trees." 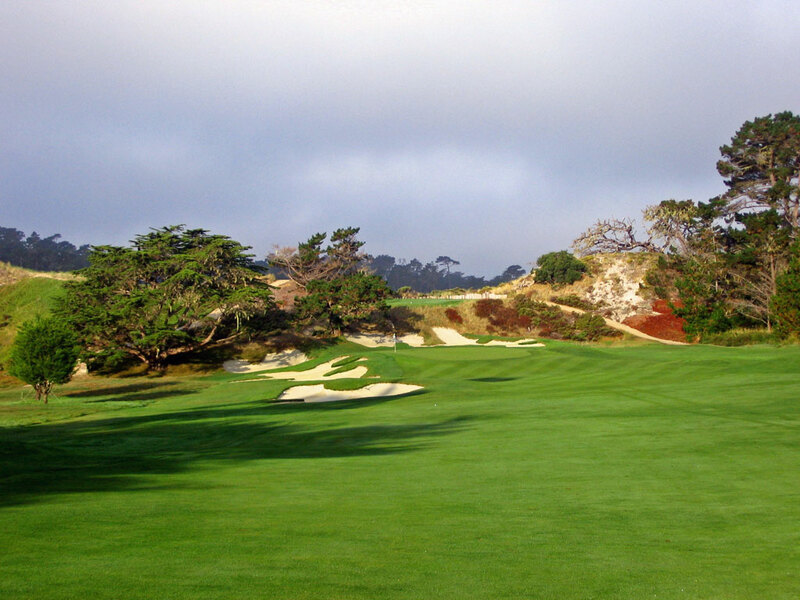 The opening six holes take the golfer on a journey into the Del Monte Forest where MacKenzie utilizes his signature "camouflage" style bunkers to create deception with player's depth perception. Holes 5 and 6 are back-to-back par fives with the tee shot on #6 taking players out of the forest and introducing them to the majestic sand dunes. The par three 7th hole plays from the top of one dune across to another before playing over the dunes for the next couple of holes. The 10th hole takes patrons from the sand dunes back towards the forest with the final par five of the day. The next hole turns around and plays back out of the forest to the sand dunes where glimpses of the Pacific's rocky coast are afforded. Four par 4s are played in a row along the dunes and out to the coast before players are presented with the finest three hole stretch in golf, bar none! The 15th hole very well could be considered the prettiest golf hole at Cypress but often plays second fiddle to the 16th hole which is often dubbed the greatest golf hole in the world. At a modest 135 yards, the 15th hole is not intimidating on the scorecard but its presentation is much more impressive. The green is encircled by no less than a half dozen bunkers while the ocean crashes in from the right and a small cove exists on the left. The green is fronted by large rock that supports the terrain and adds impressive visual contrast. Dr. MacKenzie would have preferred that this hole had more alternatives of how to play it but still recognized its draw, "The hole owes its reputation almost entirely to the beauty of the green and its surroundings." Words can't describe the majesty of the 16th hole and aerial photos do a MUCH better job than ground level; unfortunately I don't own a helicopter. Hopefully the featured photos and these quotes give you a feel of how impressive this 220 yard par three over the ocean is. 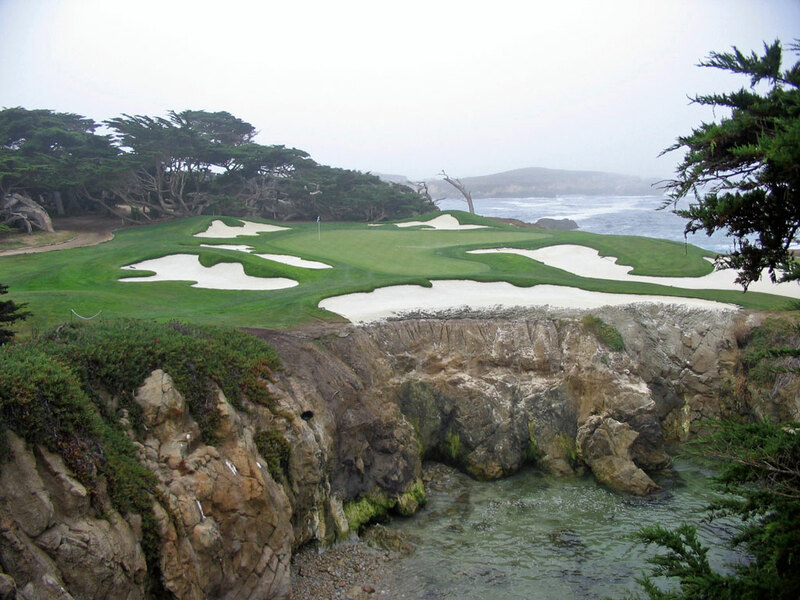 Robert Hunter, an accomplished golfer and course architect that assisted with Cypress Point, had this to say about the 16th, "There are no doubt many great holes in the world and possibly some greater than this one, but none other will be so much talked of, loved and hated, photographed and advertised as this one. It is the most spectacular hole in the world and the most thrilling when played bang over the 200 yards of wild sea and rocky coast." The famous 16th almost never came to fruition as Dr. MacKenzie felt the carry was too long over the ocean to consider utilizing this peninsula as part of a golf hole. But Marion Hollins, a great golfer in her own right, wouldn't bite off on MacKenzie’s opinion. Dr. MacKenzie relates, "I was in no way responsible for this hole. . . Miss Hollins said she did not think it was an impossible carry. She then teed up a ball and drove it to the middle of the site for the suggested green." After witnessing Hollins drive a ball over the ocean to the future green, Dr. MacKenzie became a believer in the heroic greatness of the 16th hole. 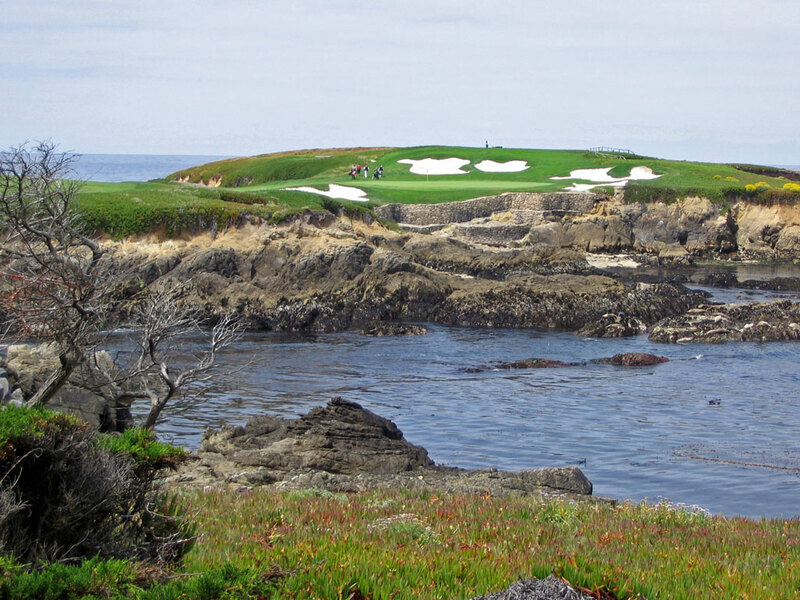 Alternatively, players can play around the ocean cove by laying up to the fairway that capes around the rocks to the green site. 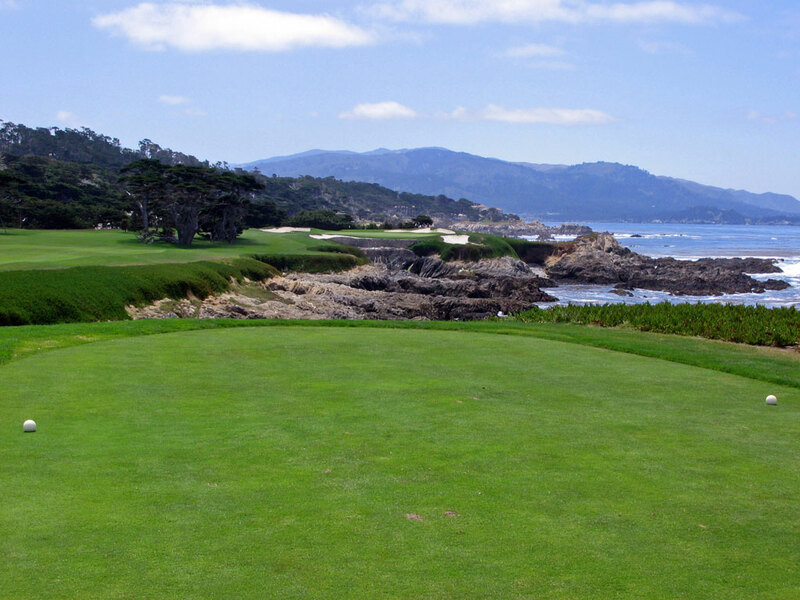 After back-to-back par 3s, players embark on a mind boggling par four that crosses over the ocean and plays past a grouping of Cypress trees to a peninsula green with waves crashing in from the right. Robert Hunter had this to say about the 17th, "There is no better hole anywhere than this one which twice crosses the sea. . . Really good golf holes are full of surprises, each one a bit better than the last." Quite the praise given the grandeur of the previous holes! Cypress Point is one of the most exclusive clubs in the world and there are people who would give their first-born in order to join; especially if their first-born is currently a teenager. I asked my caddie what it would take to join Cypress and his response was, "Well, beyond getting recommendations from five different members, spots only open up once a member dies." So if you ever get an invite to play at Cypress Point, do everything in your power to get there; you may never have another chance to experience a perfect 10.